Lotus Property Services offer quality North Brisbane pest control for domestic homes, small offices, units and commercial apartments. Our team are fully licensed (PMT 2003 189012) and insured, which means you can trust us to do the job right the first time. Cockroaches, ants, spiders, fleas, silverfish, mice, rats, bed bugs, carpet beetles. Creepy crawlies are more than just annoying – they can be downright dangerous to your health and the health of your family. We treat all internal and external areas of your property, including those hidden nooks and crannies where pests like to hide. We can also treat suburban backyards or roof cavities if you have a flea, ant or spider problem. We offer a full 12 month internal warranty and 6 month external warranty on all our pest control treatments – giving you long term peace of mind. 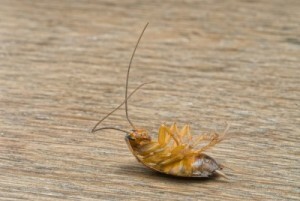 If you see any pests during your warranty period, just give us a call and we will re-treat your property at no cost. The pest control chemicals we use are highly effective against pests. We fully consult with you to ensure the safety of your family and pets are maintained during treatment. There are some pests such as termites, feral birds, possums or snakes that need specialist pest controllers to eradicate. If you are troubled by any of these pests, we can refer you to one of our trusted colleagues.